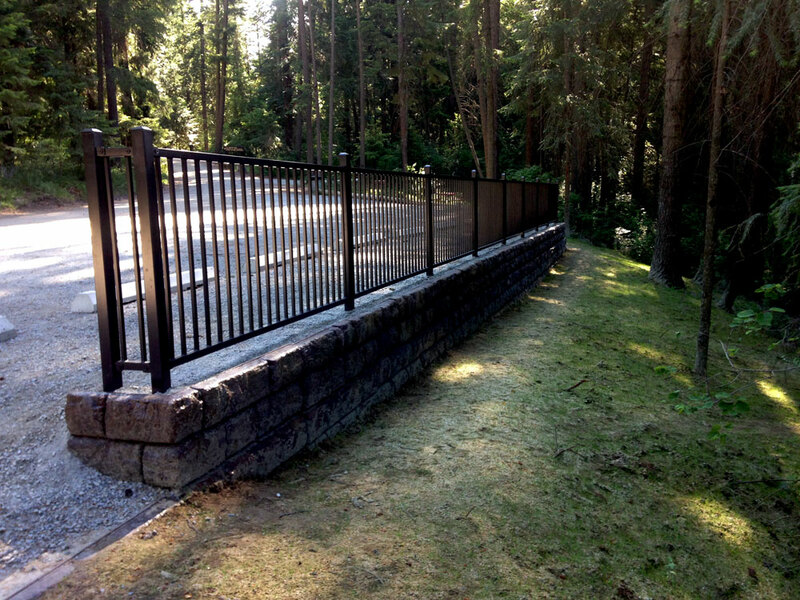 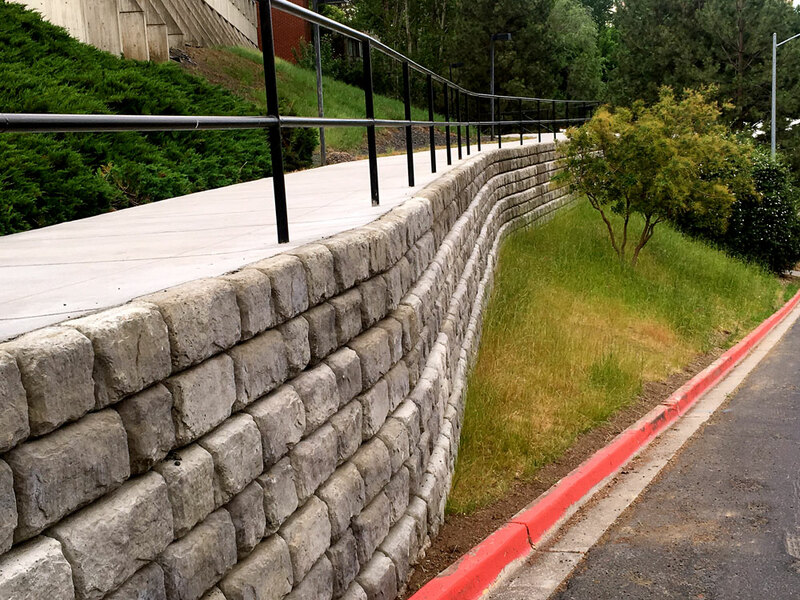 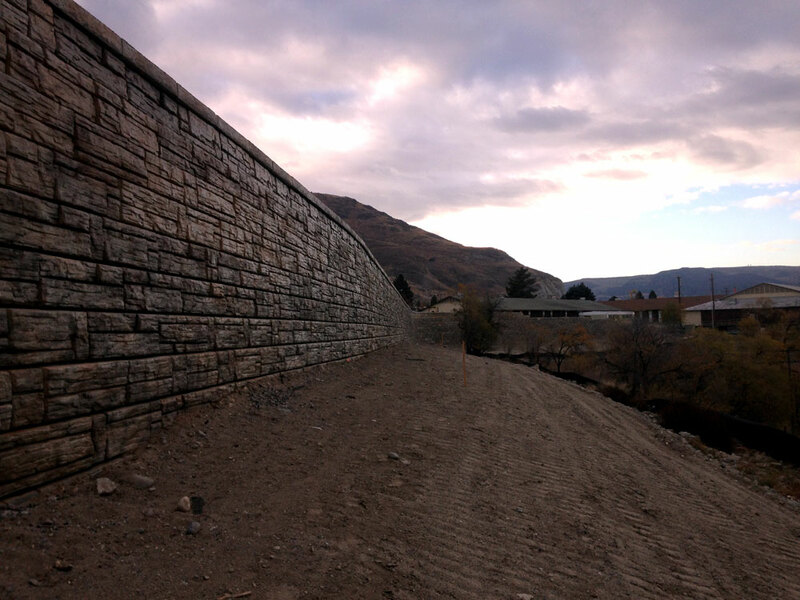 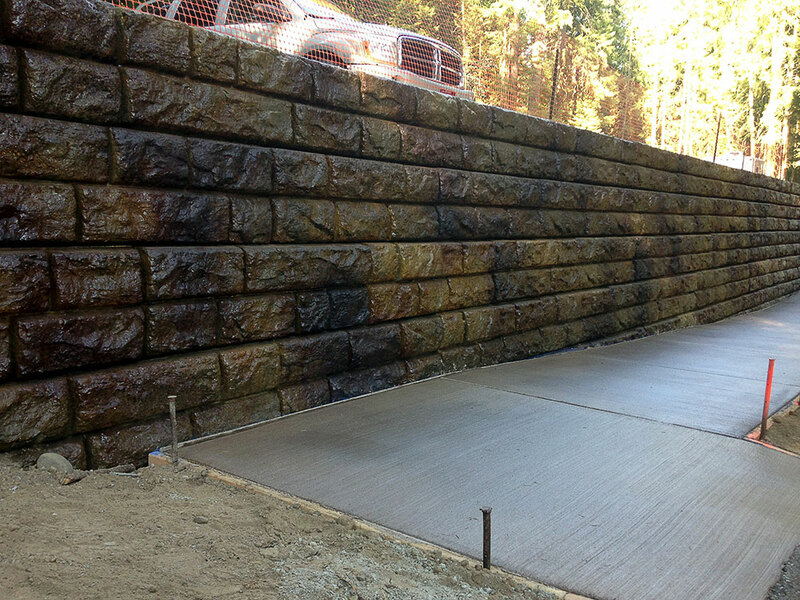 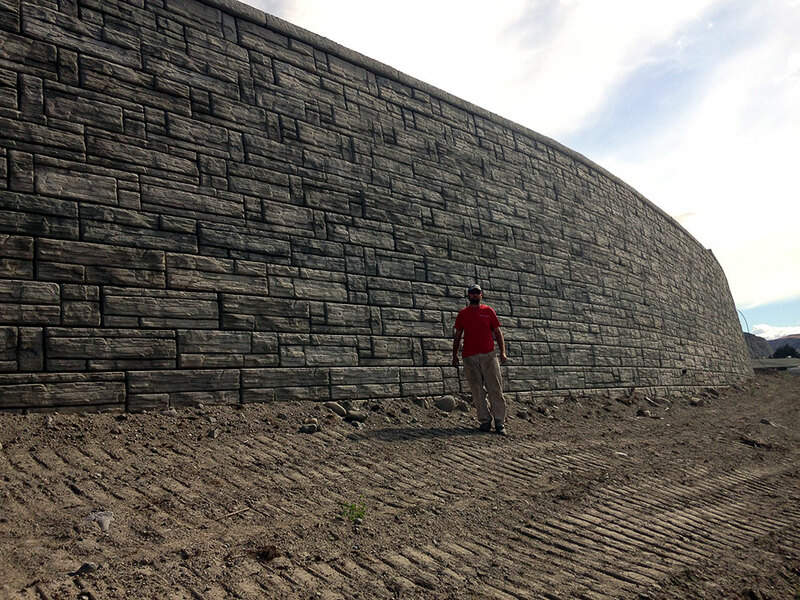 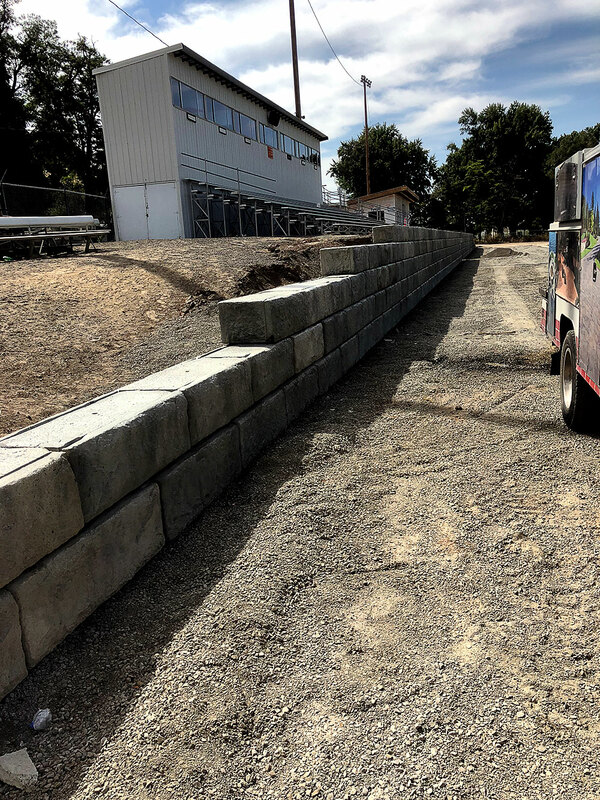 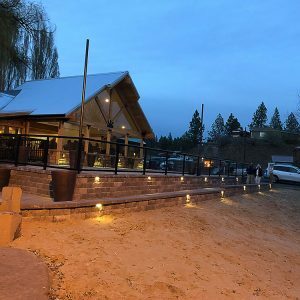 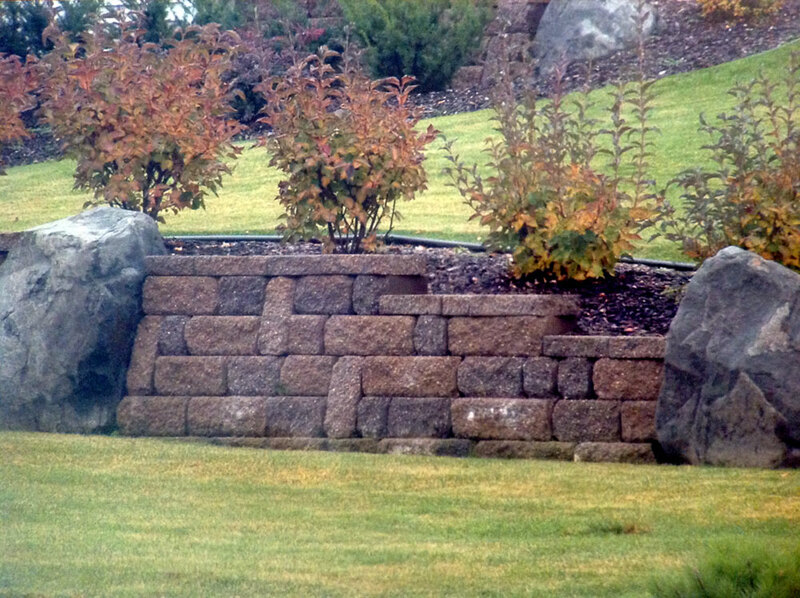 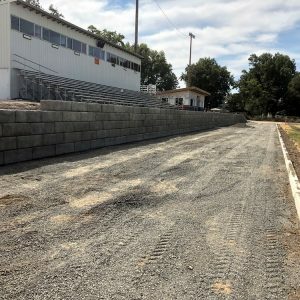 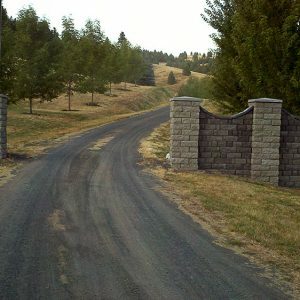 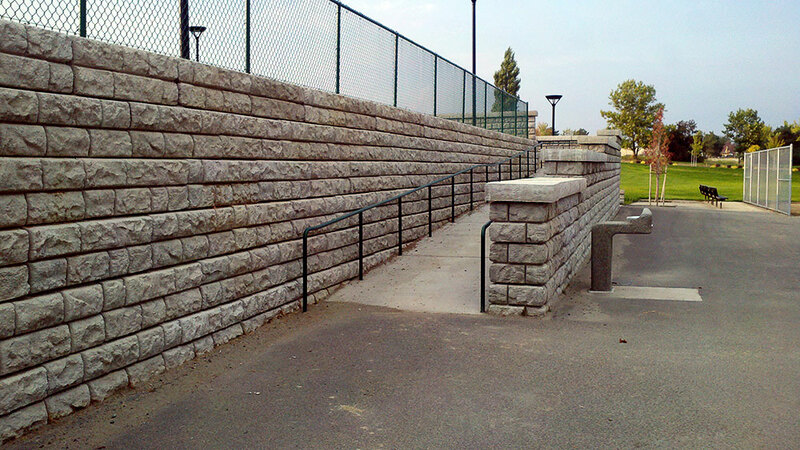 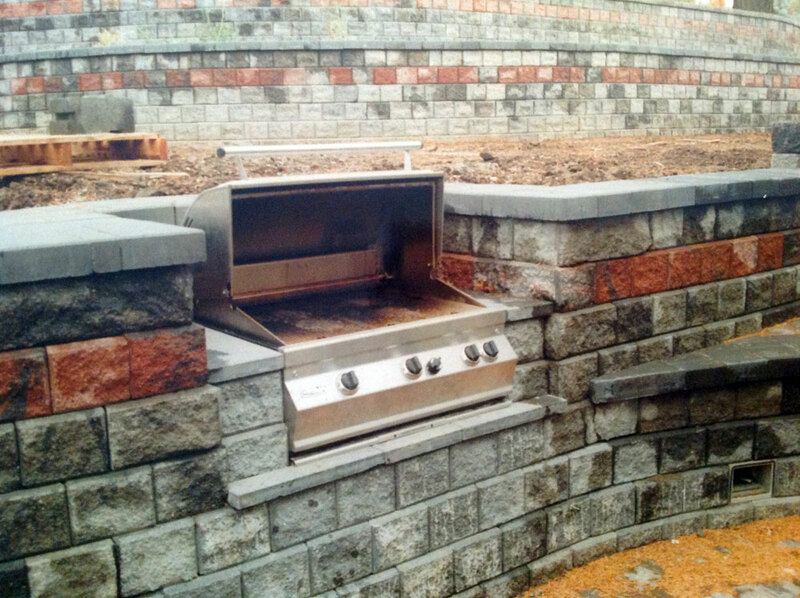 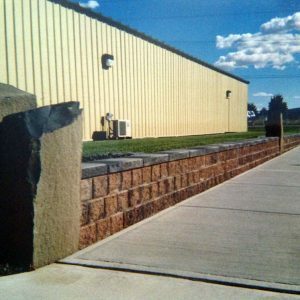 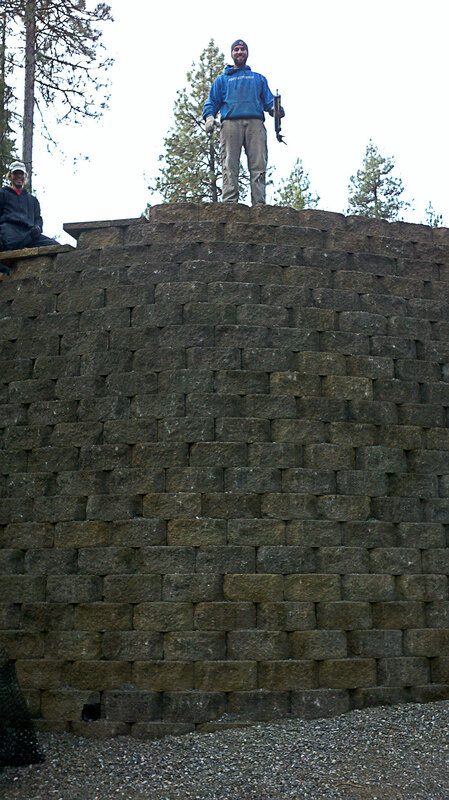 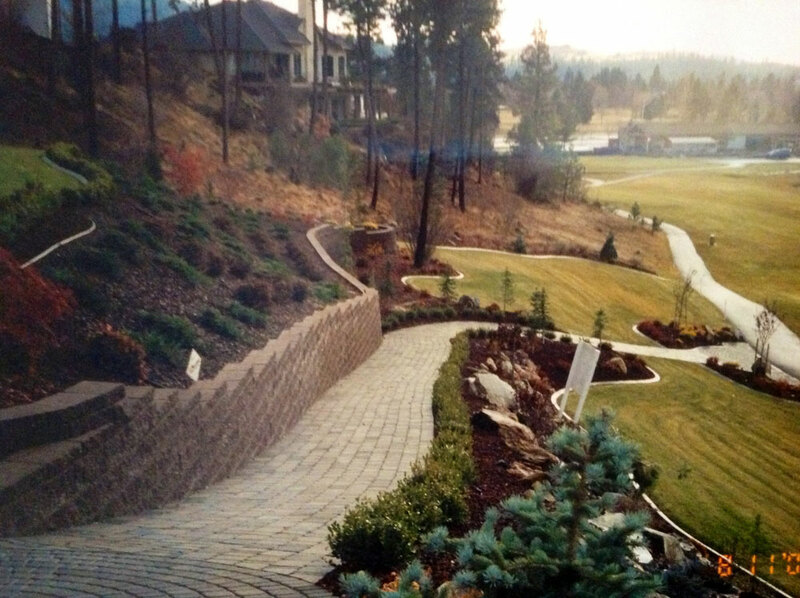 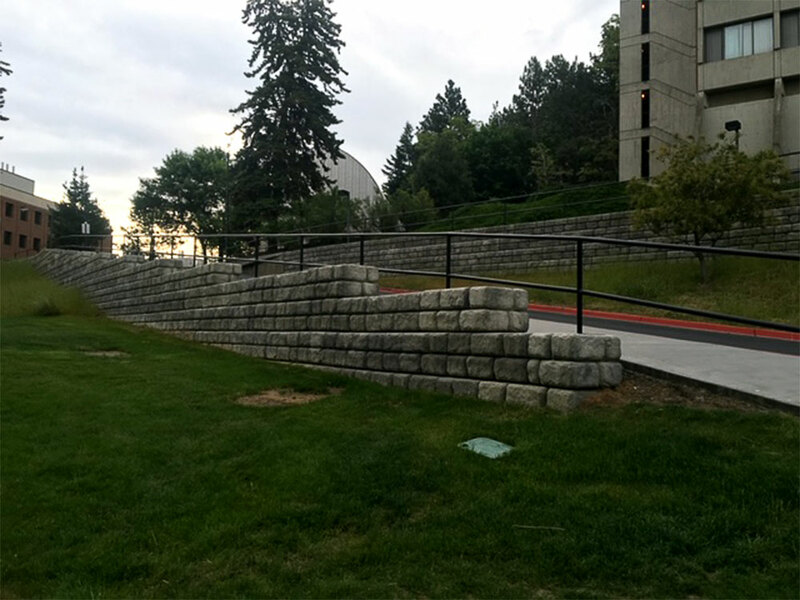 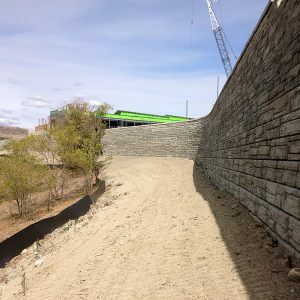 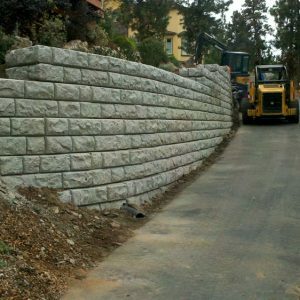 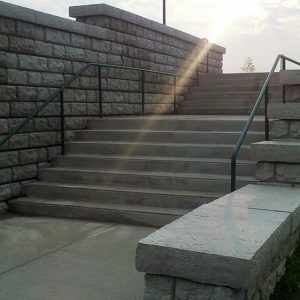 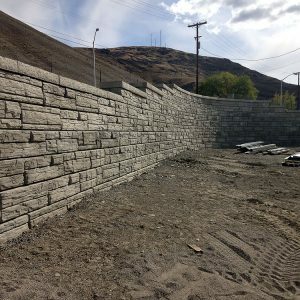 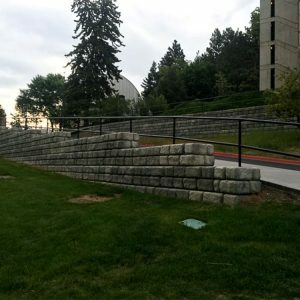 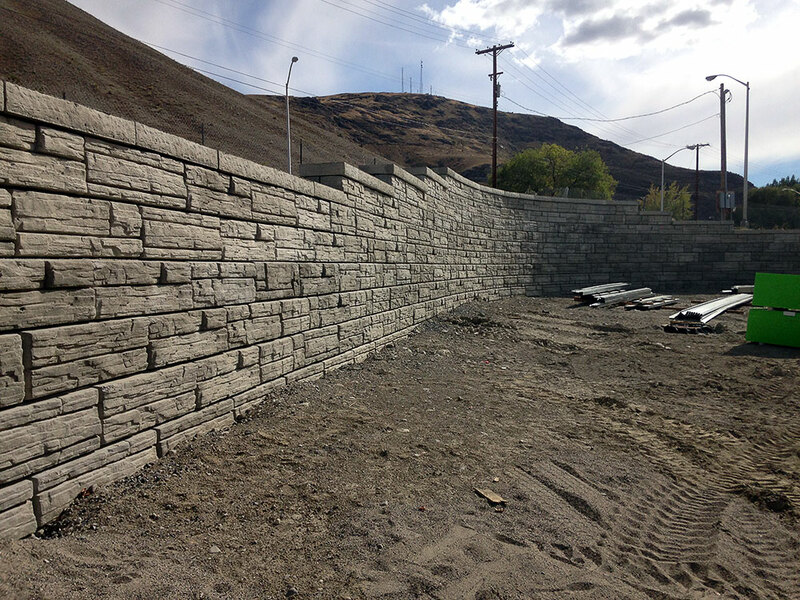 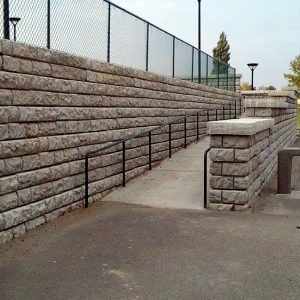 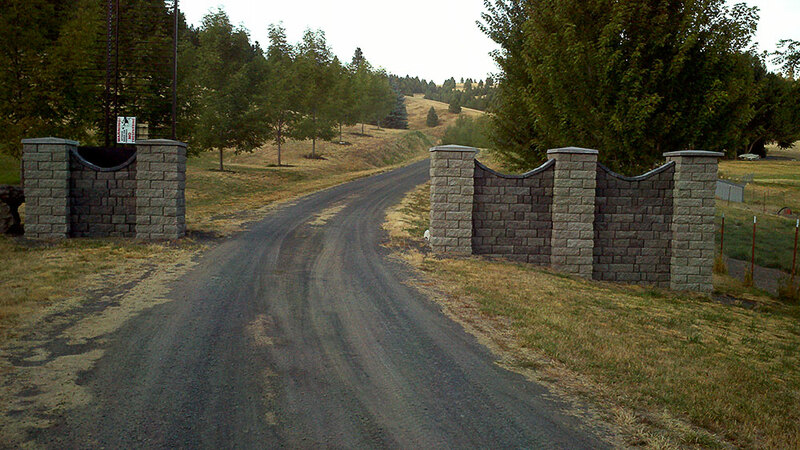 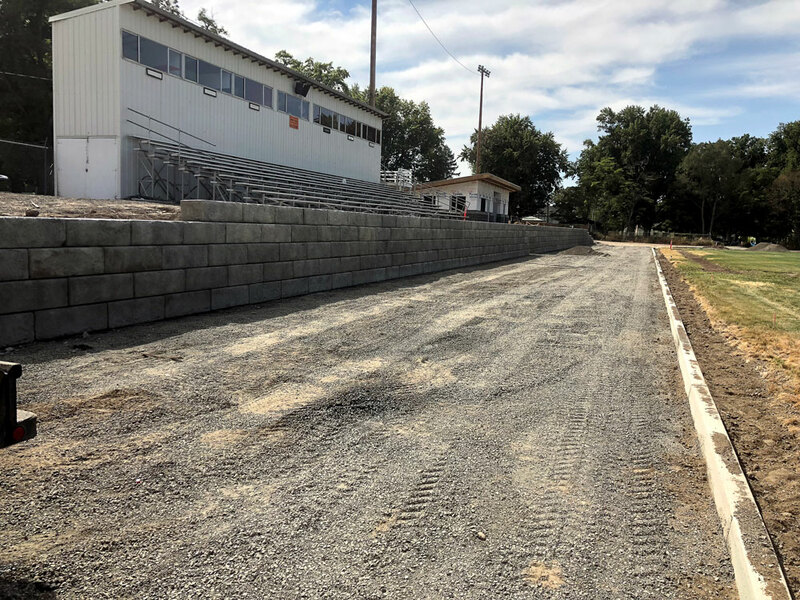 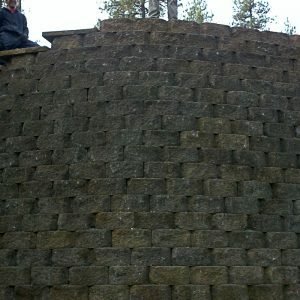 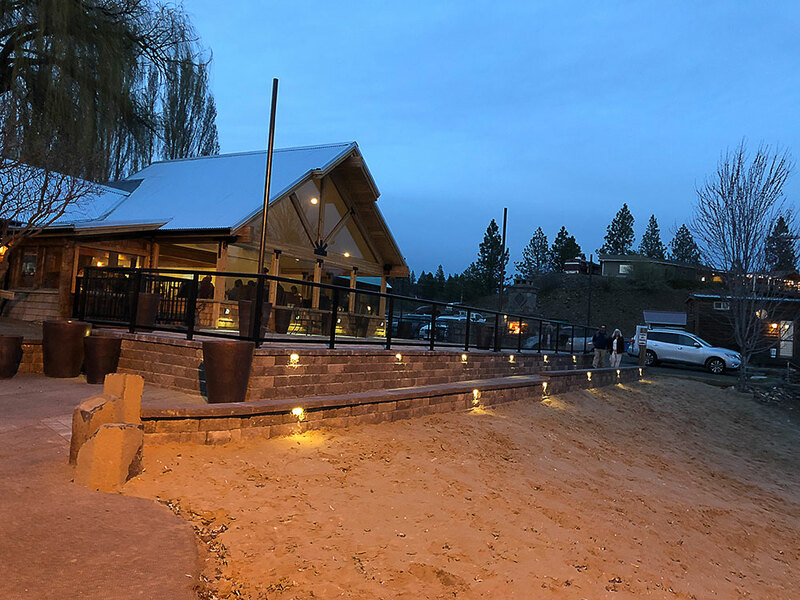 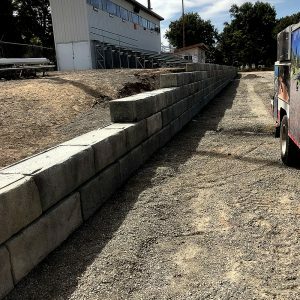 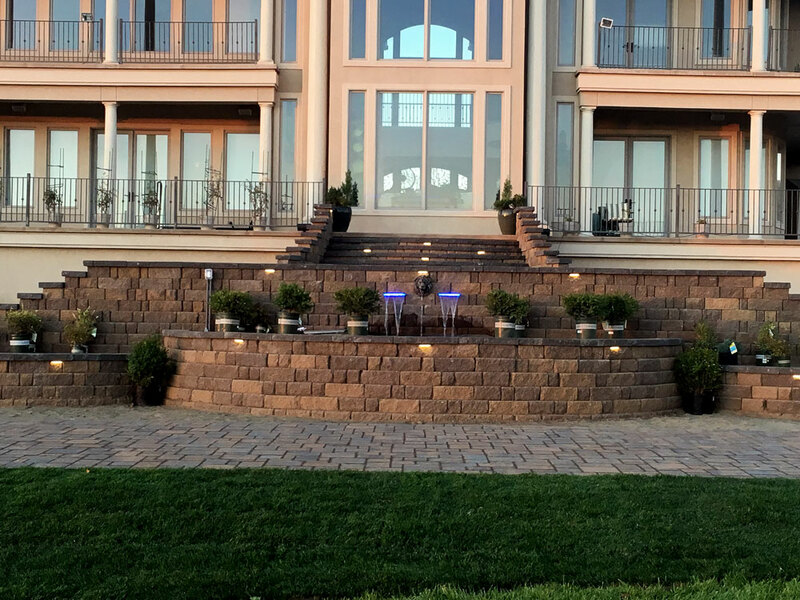 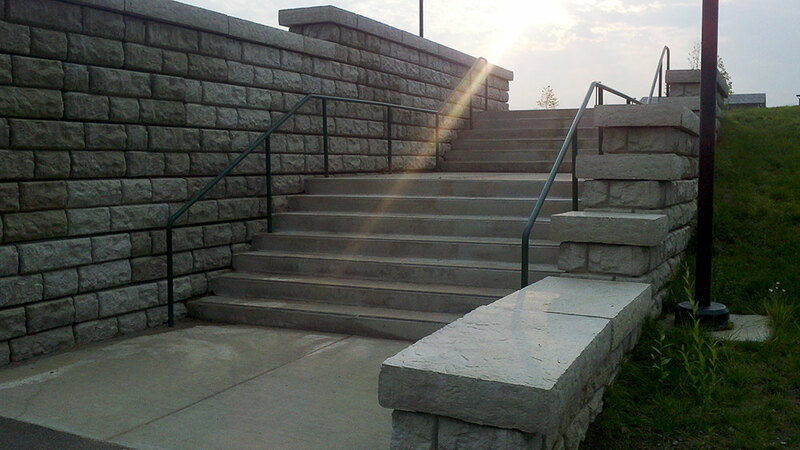 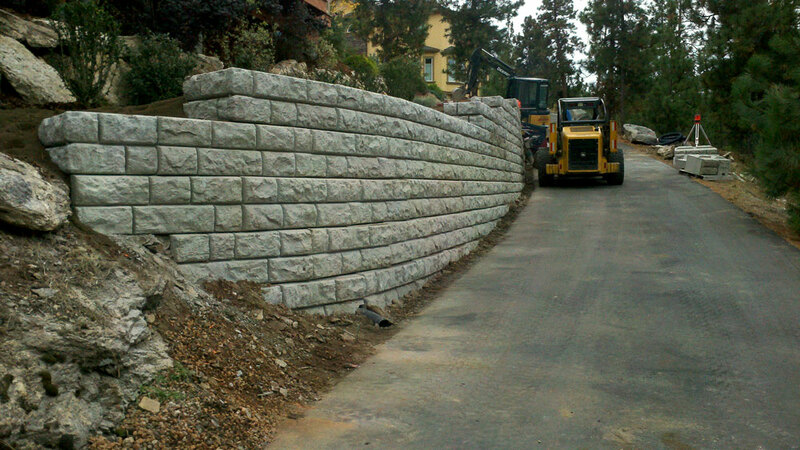 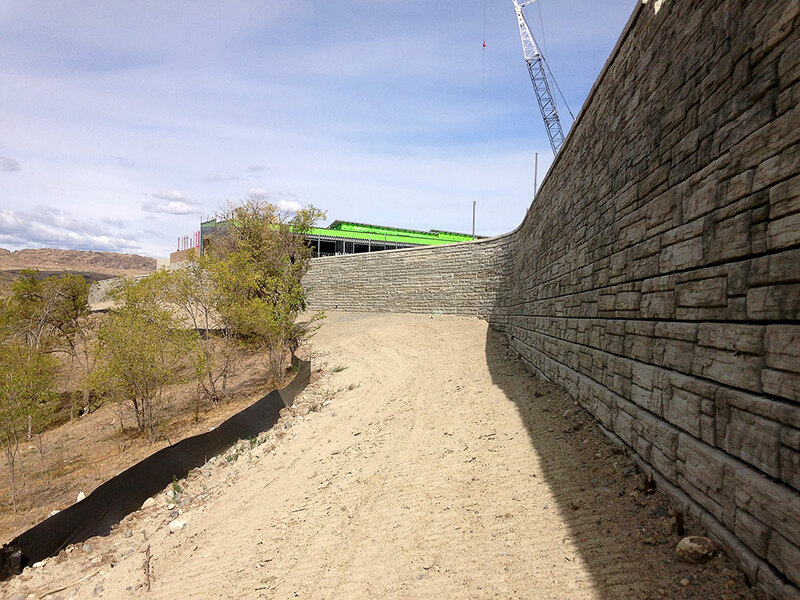 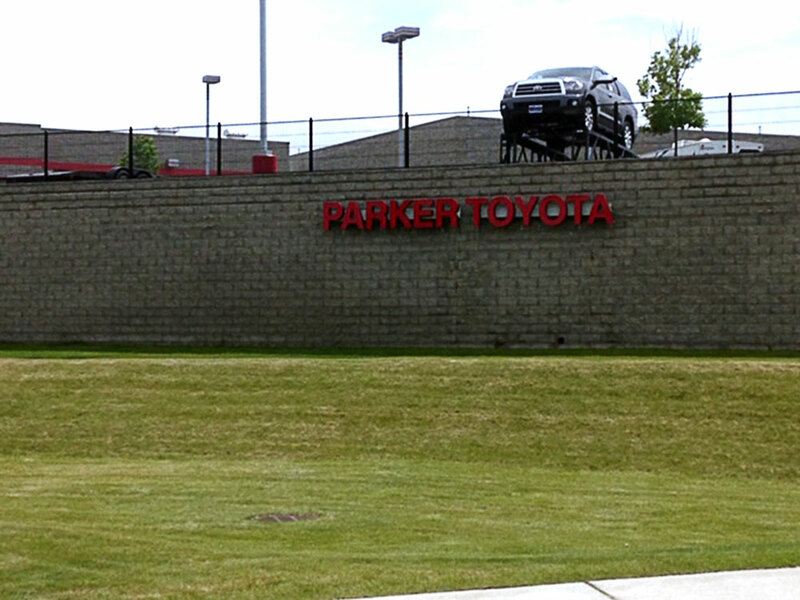 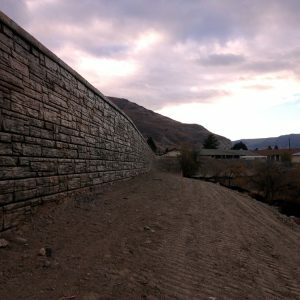 Our retaining walls are manufactured from high strength concrete. 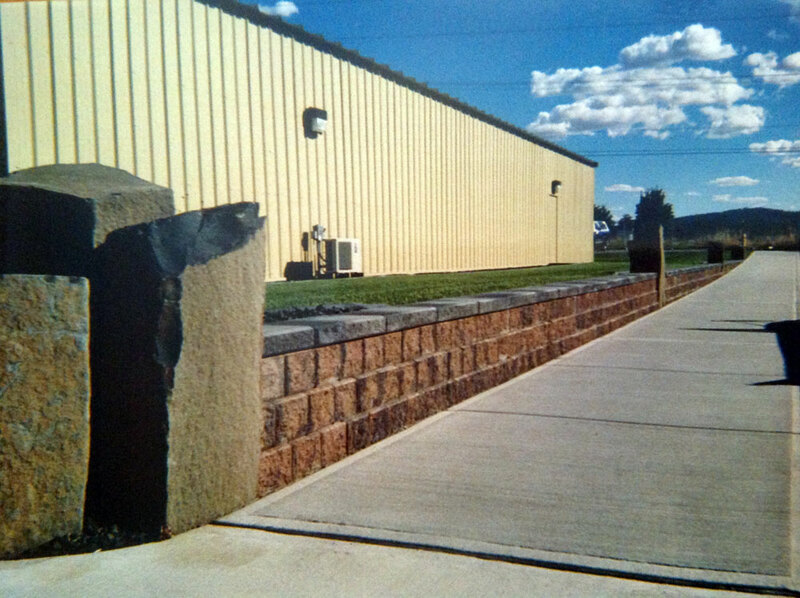 Designed to flex with freeze thaw cycles. 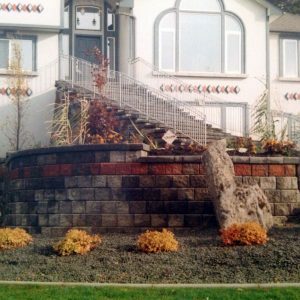 No need for extensive footing. 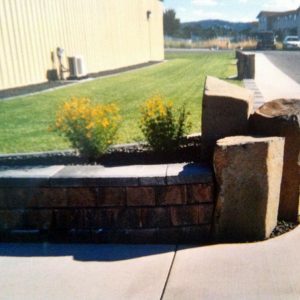 Virtually maintenance & deterioration free. 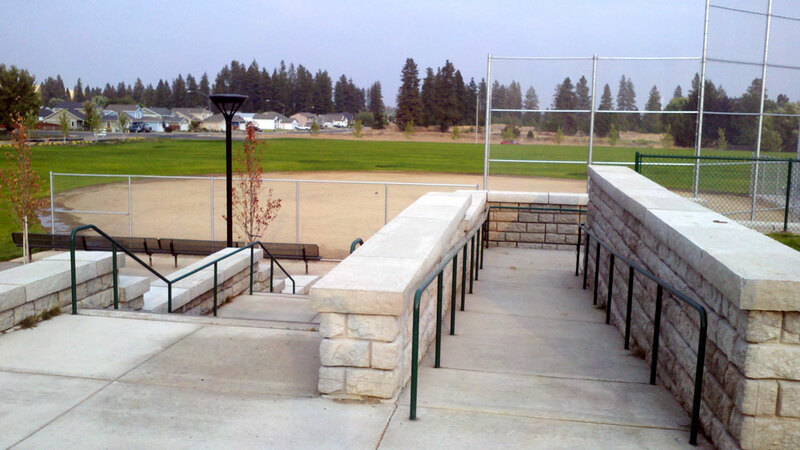 Versatile modular components make smooth inside and outside radii, as well as 90° corners. 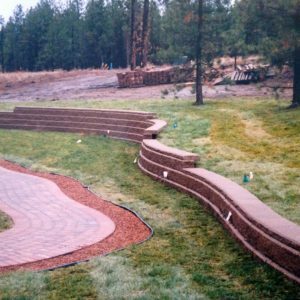 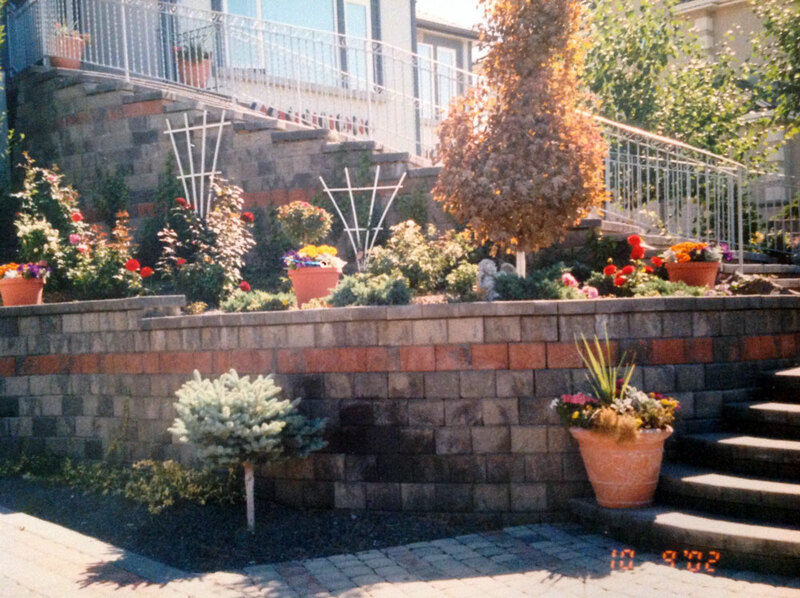 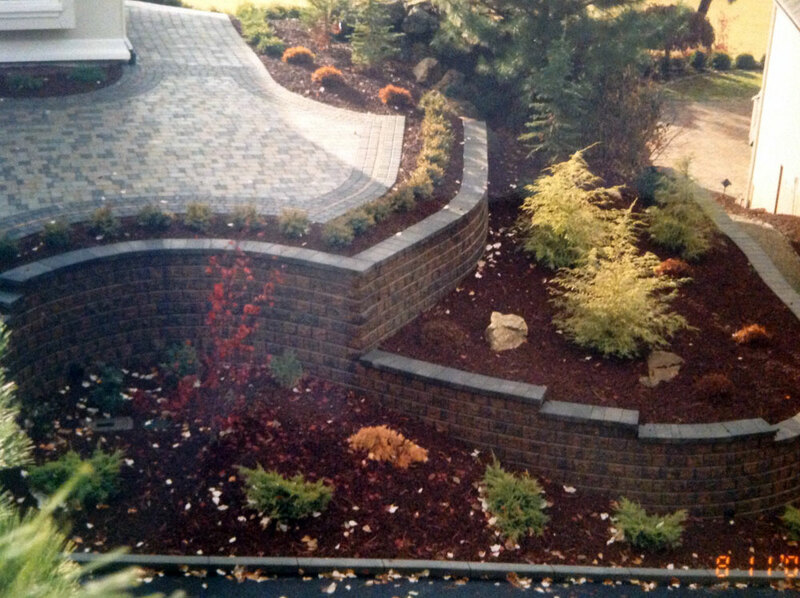 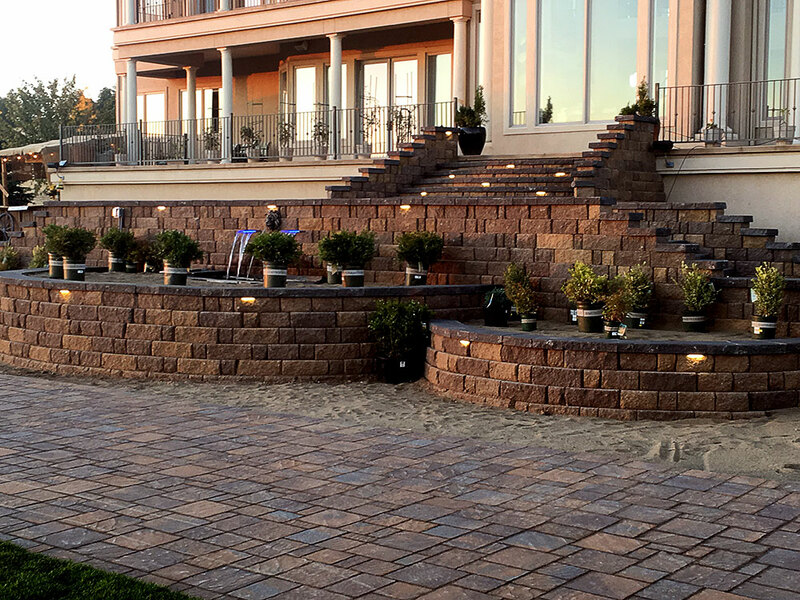 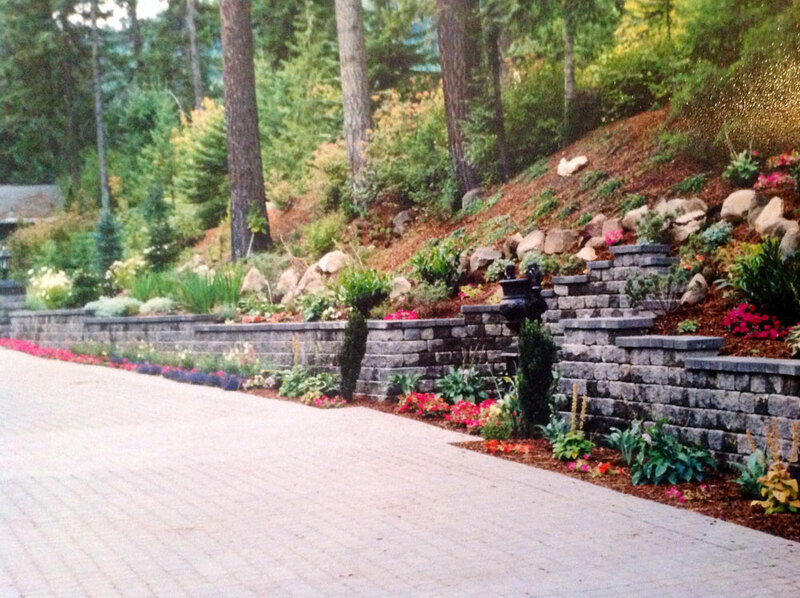 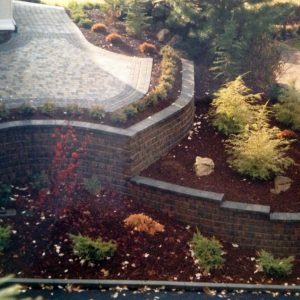 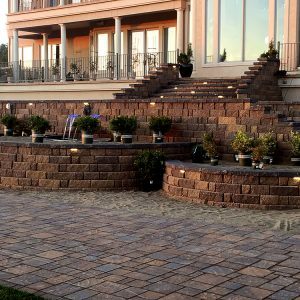 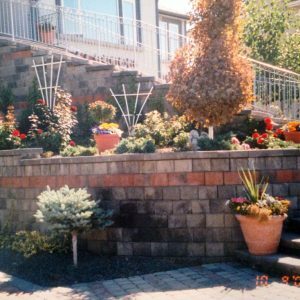 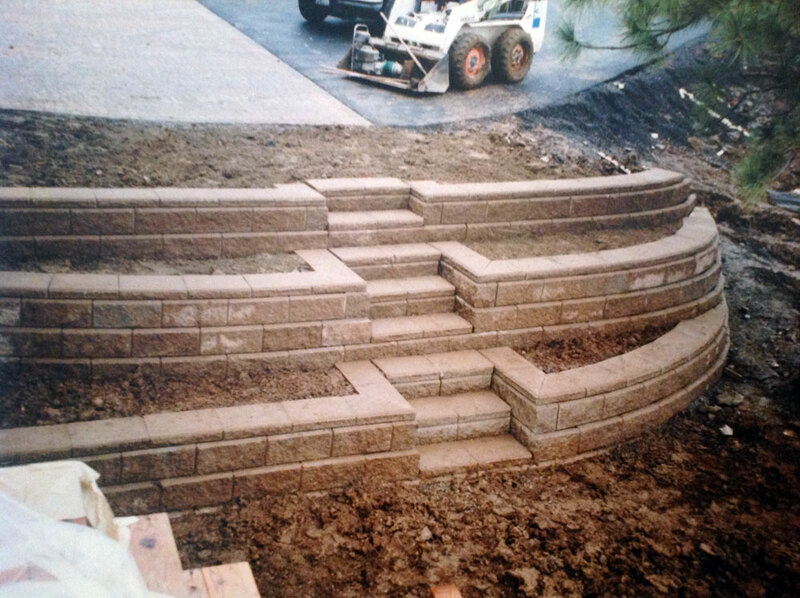 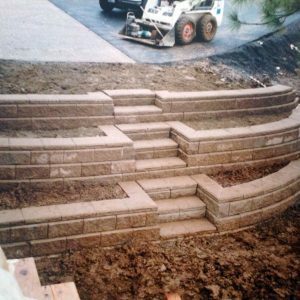 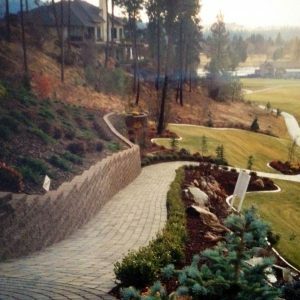 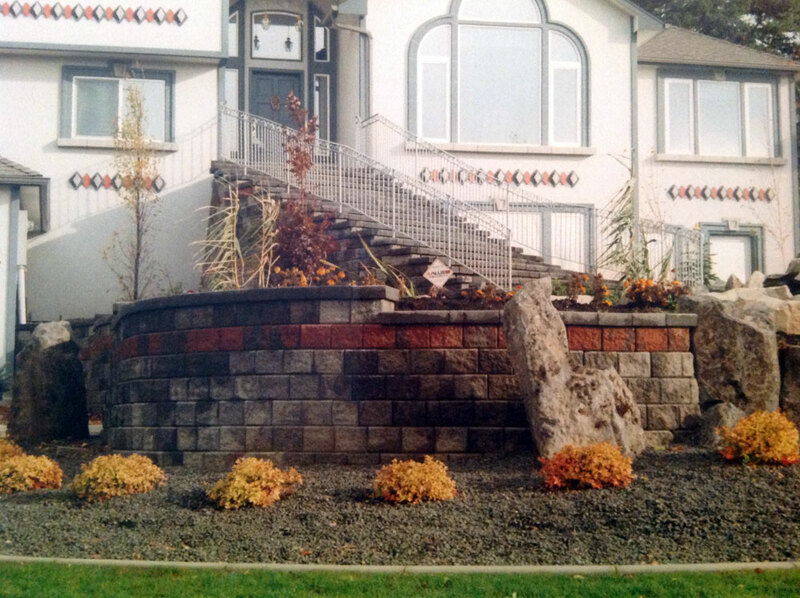 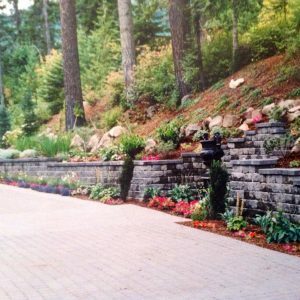 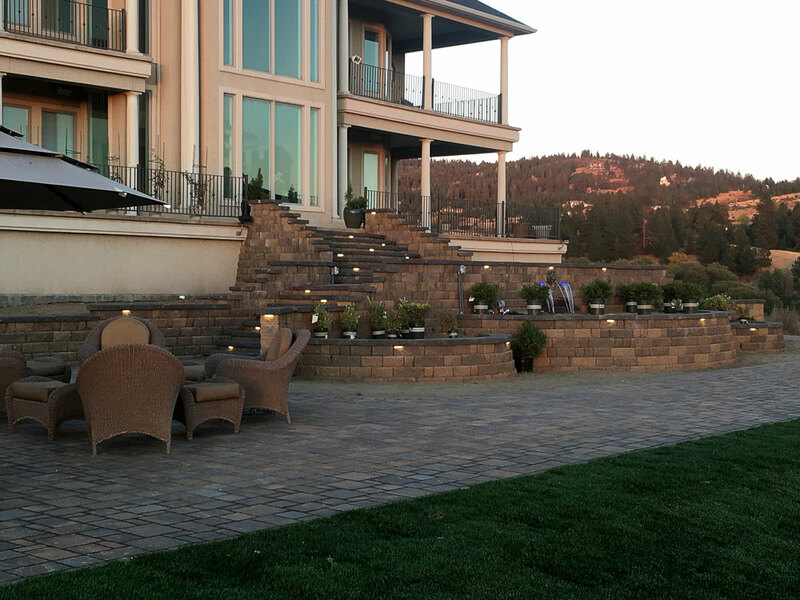 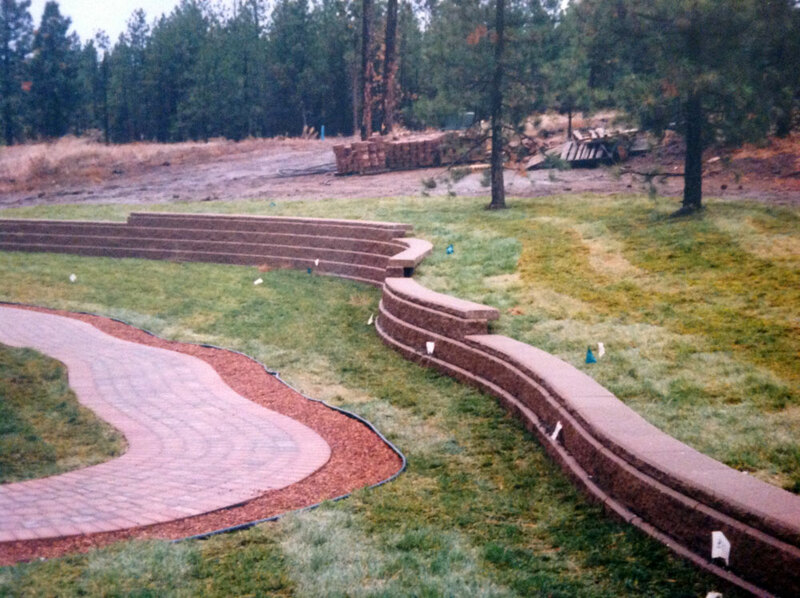 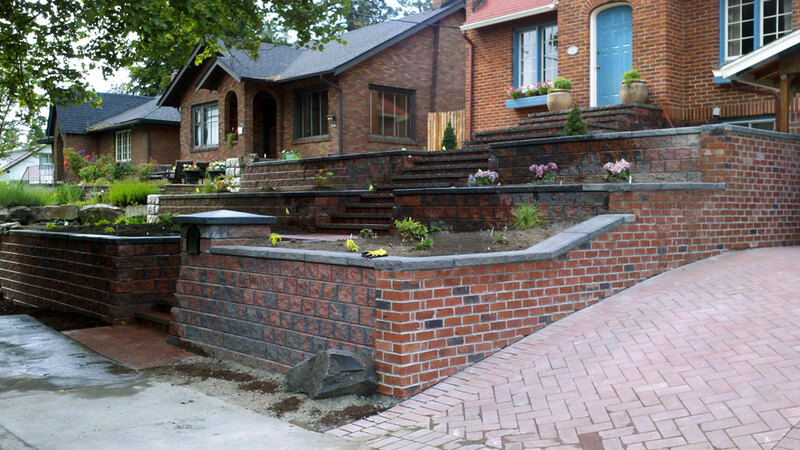 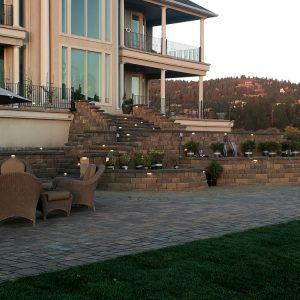 Many color and texture options to create beautiful retaining walls, terraces, planters, steps and porches. 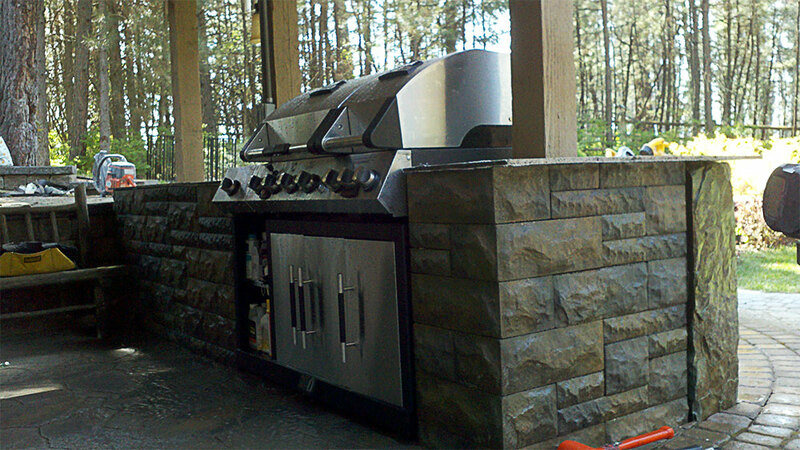 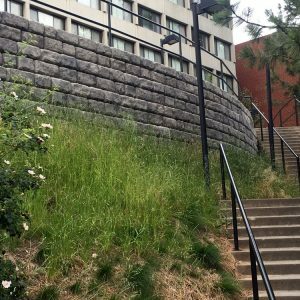 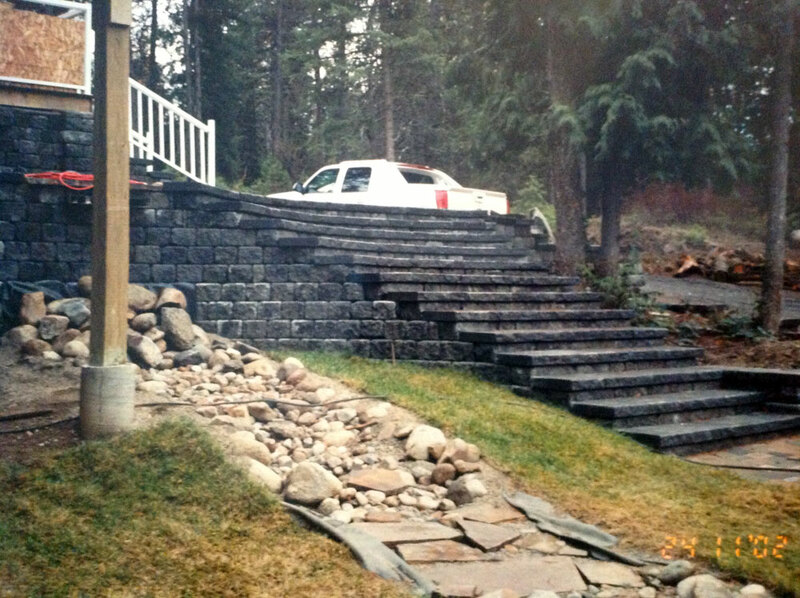 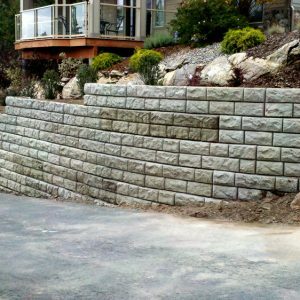 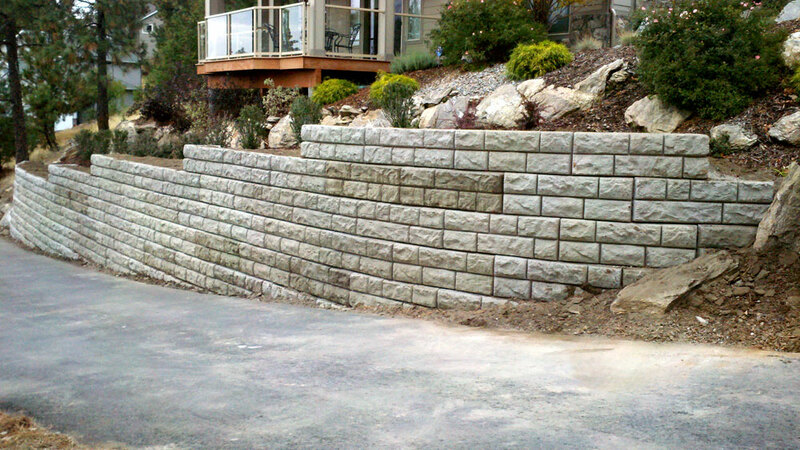 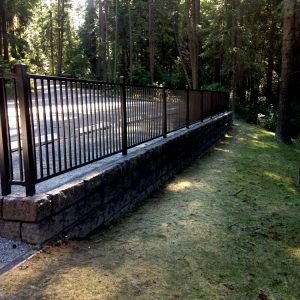 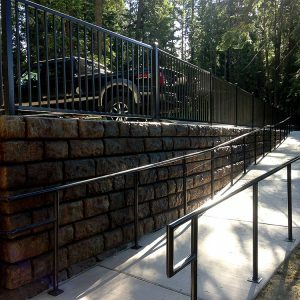 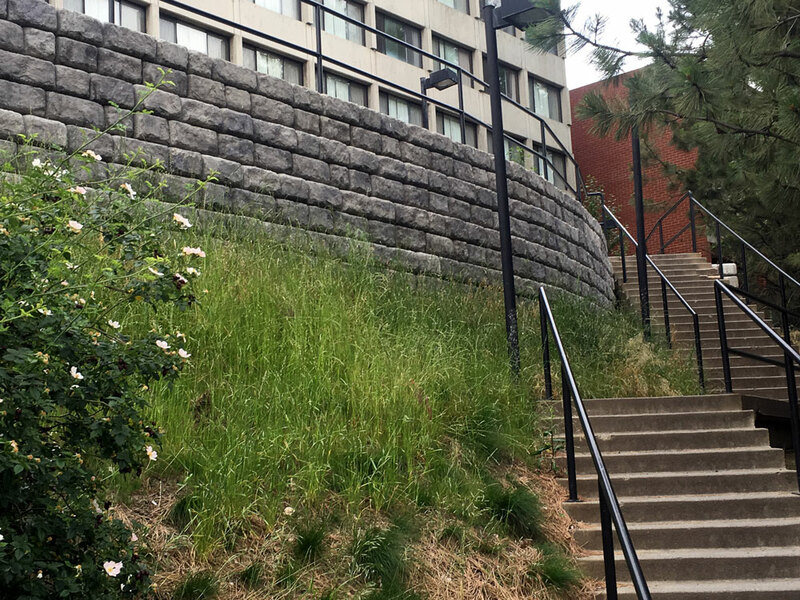 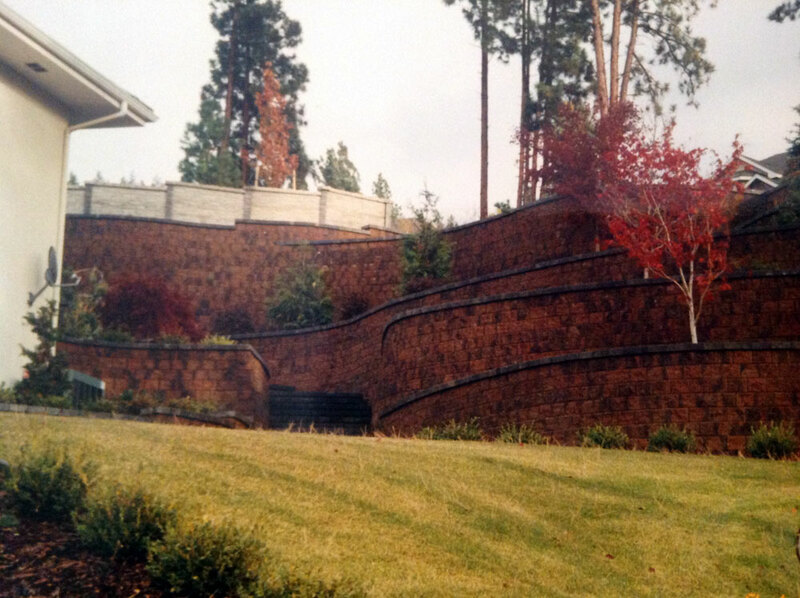 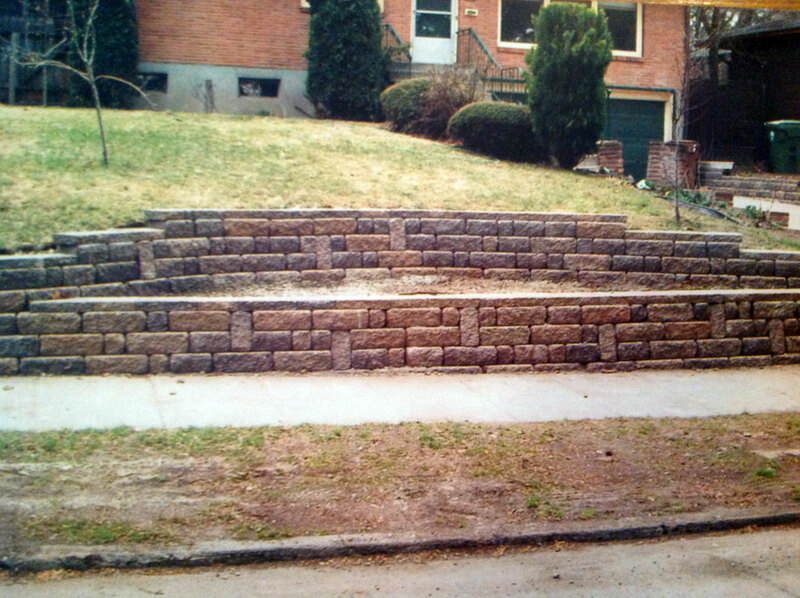 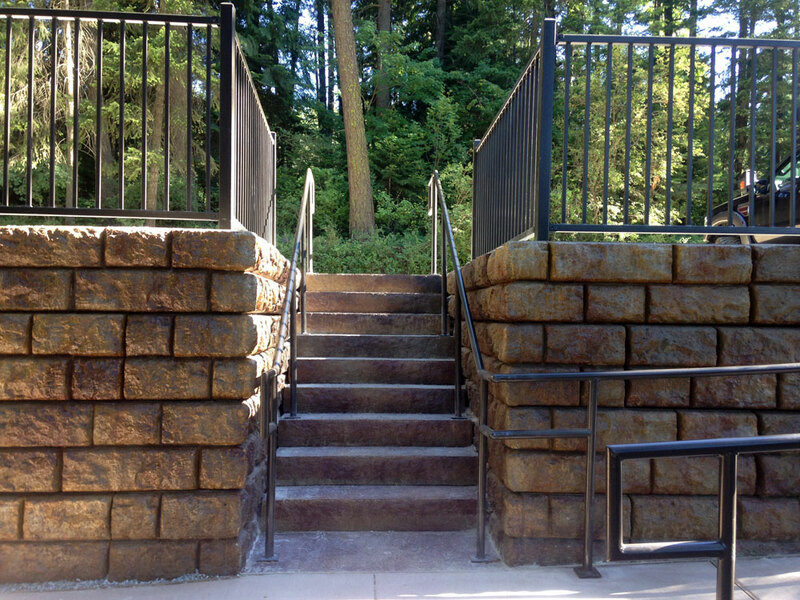 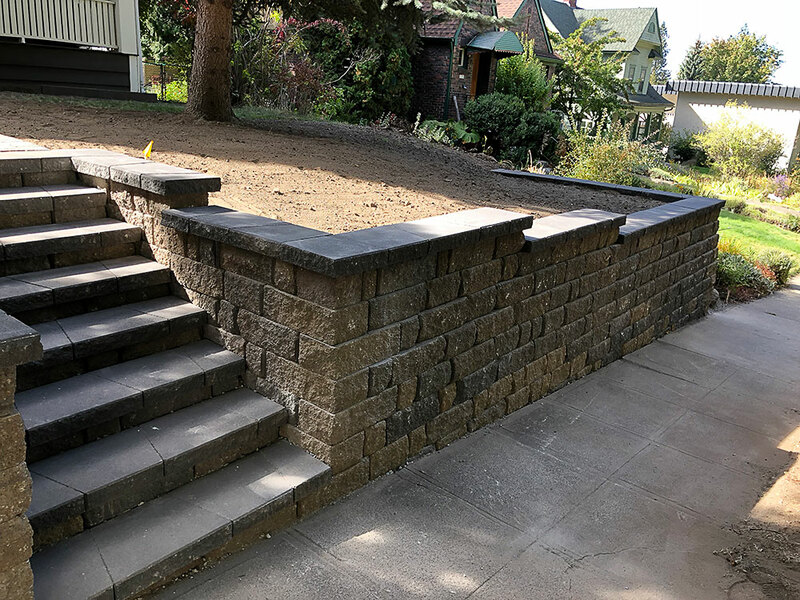 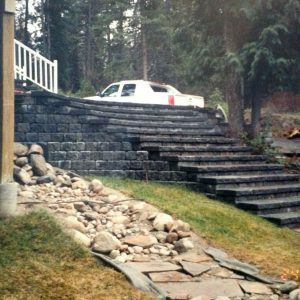 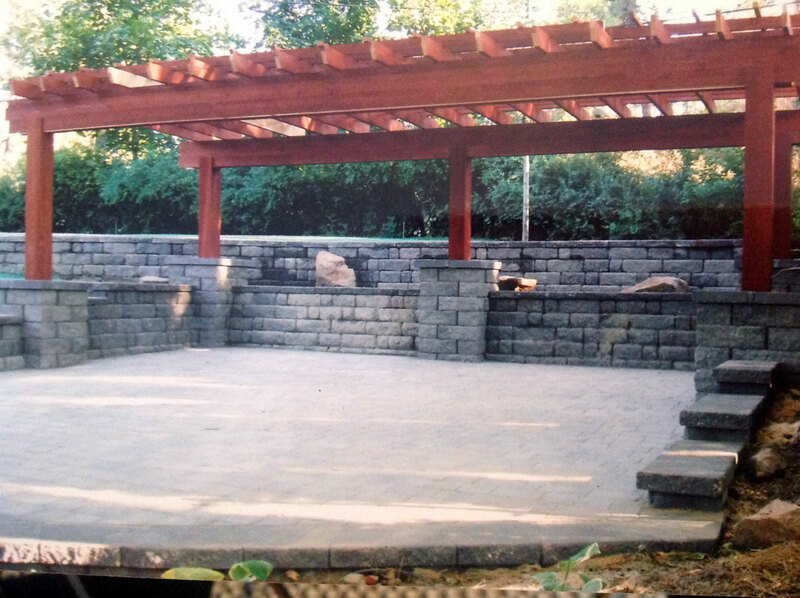 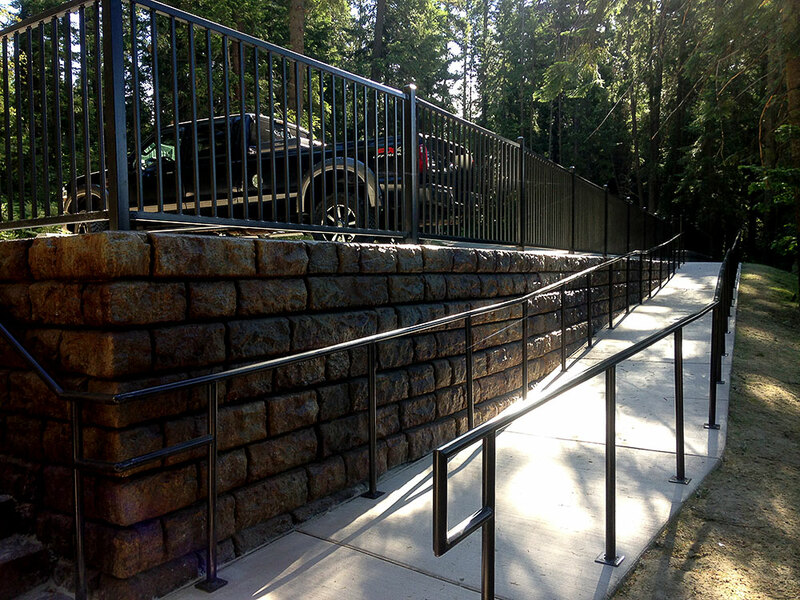 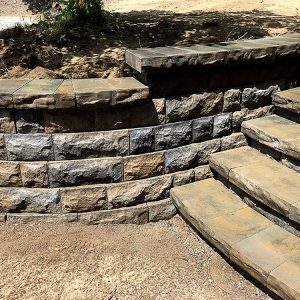 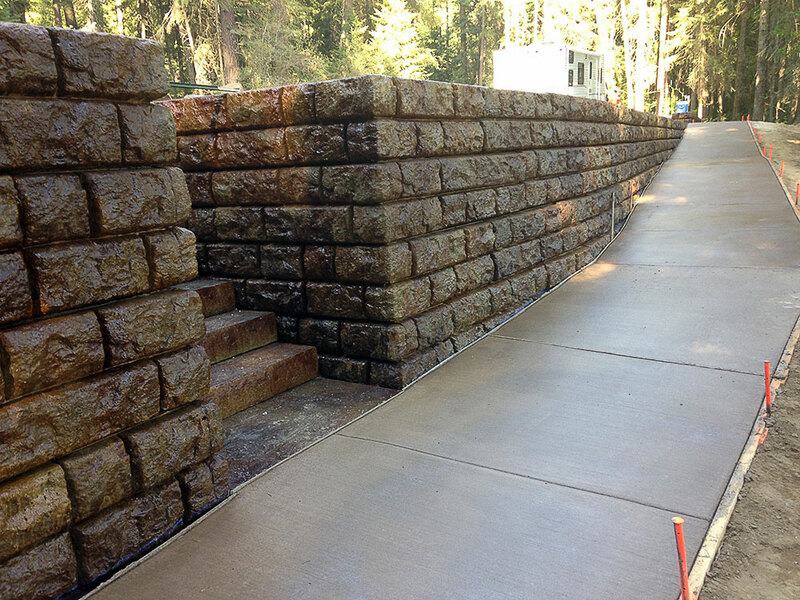 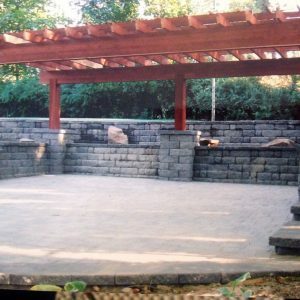 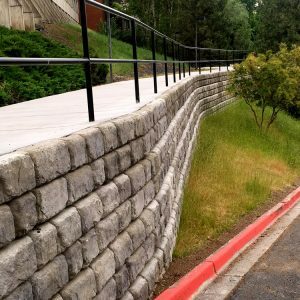 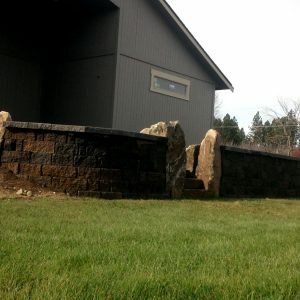 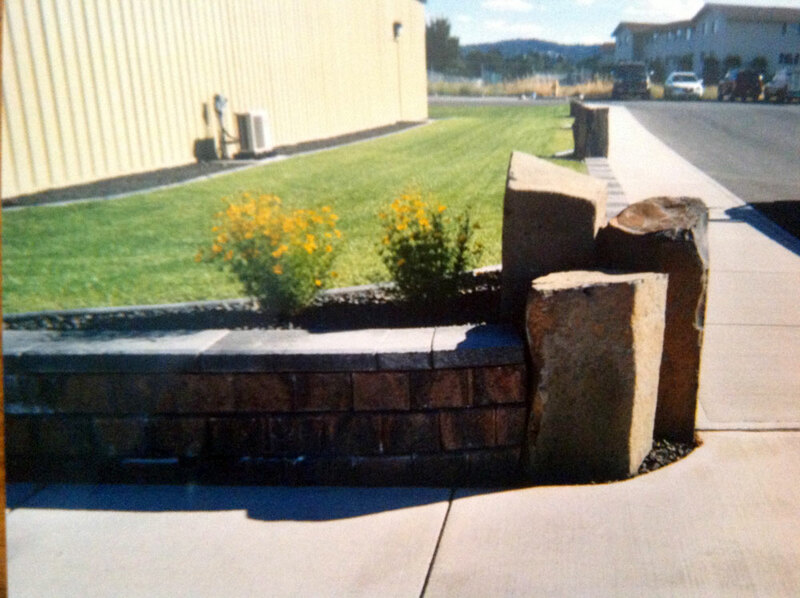 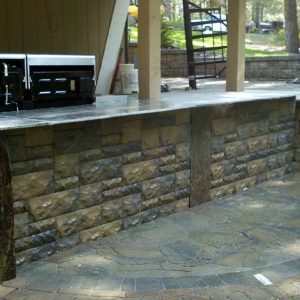 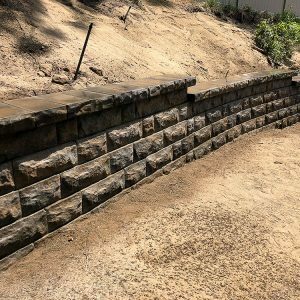 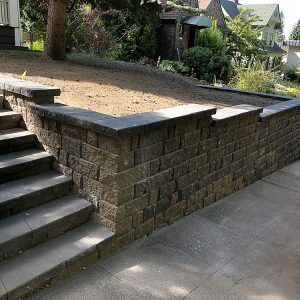 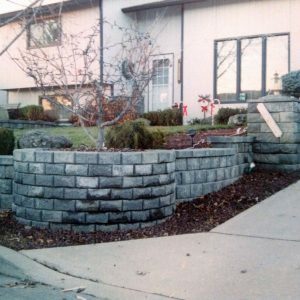 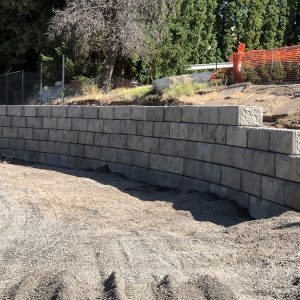 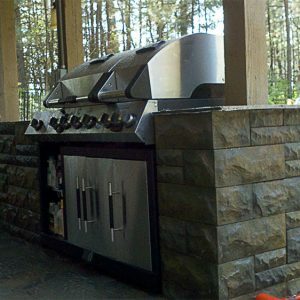 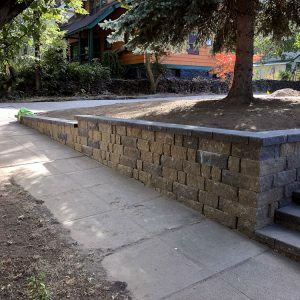 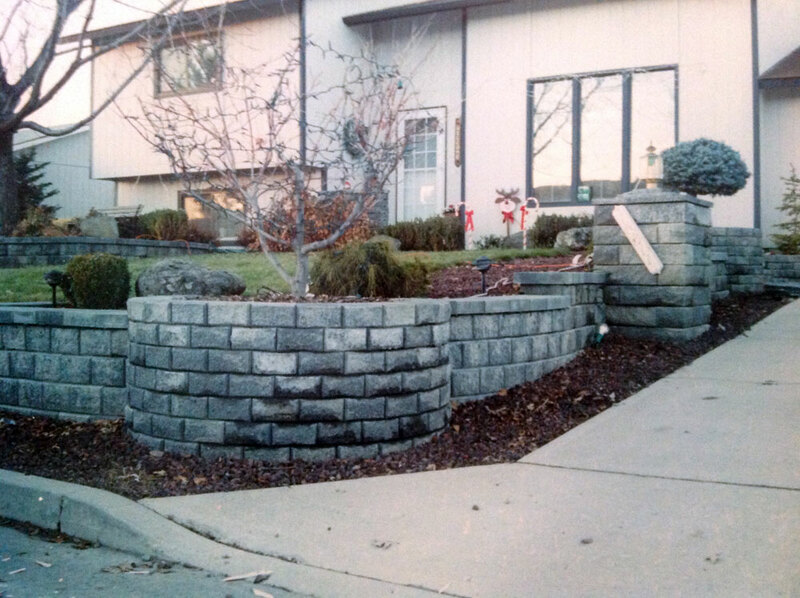 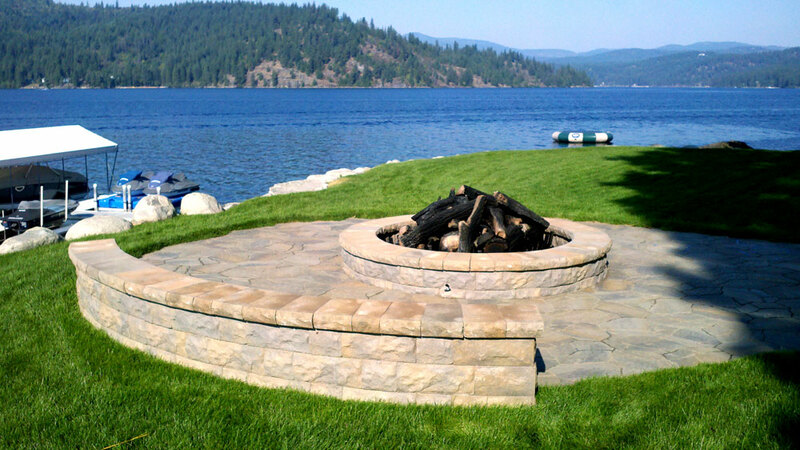 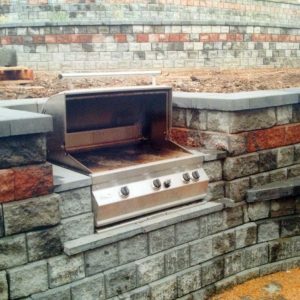 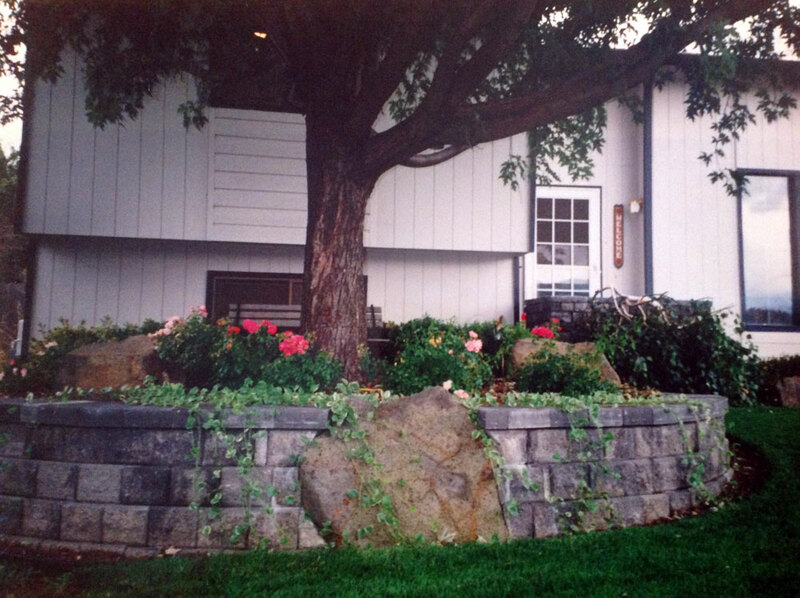 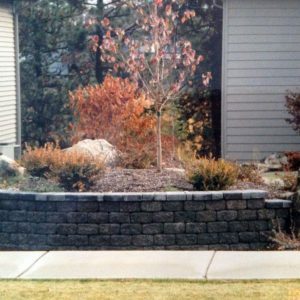 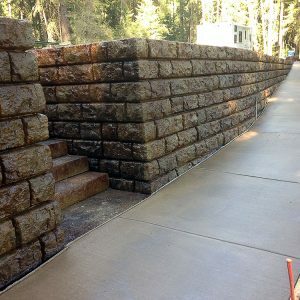 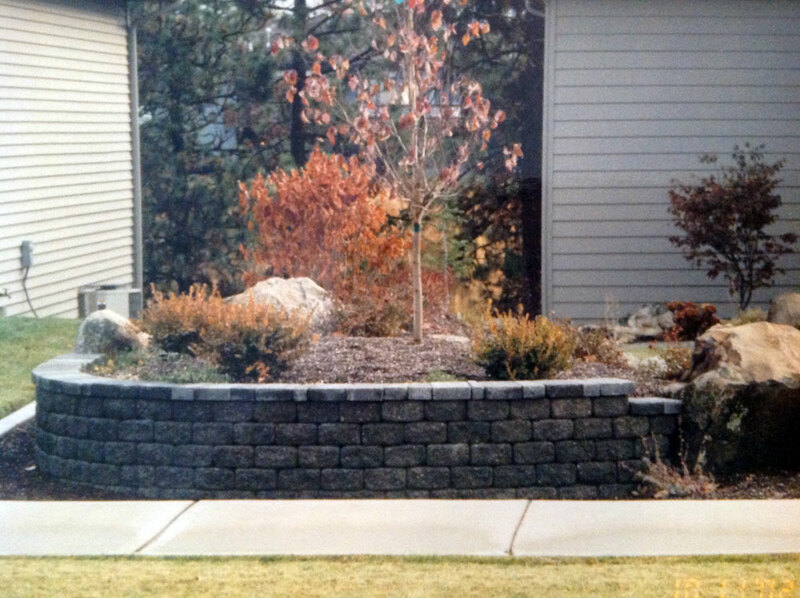 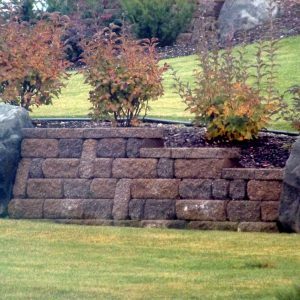 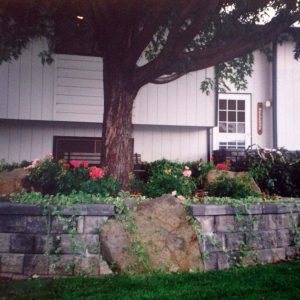 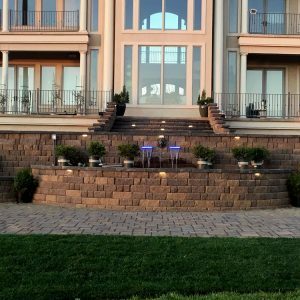 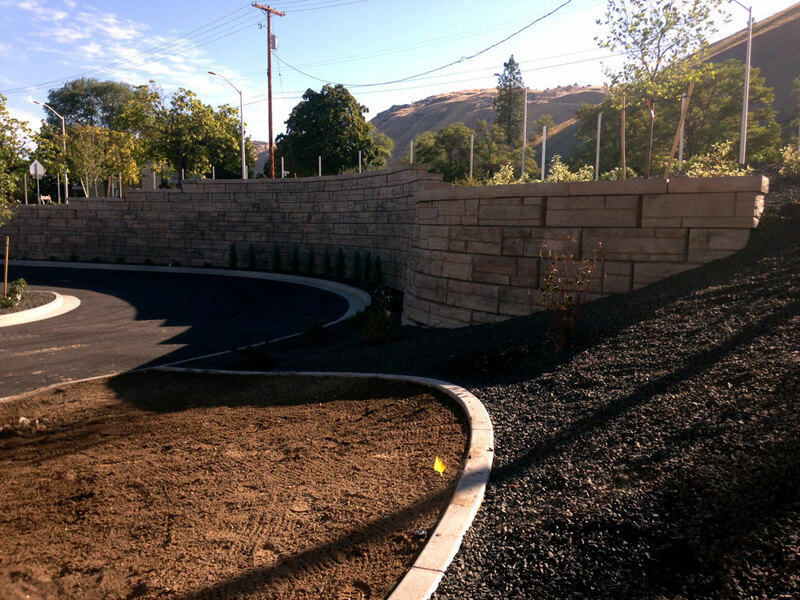 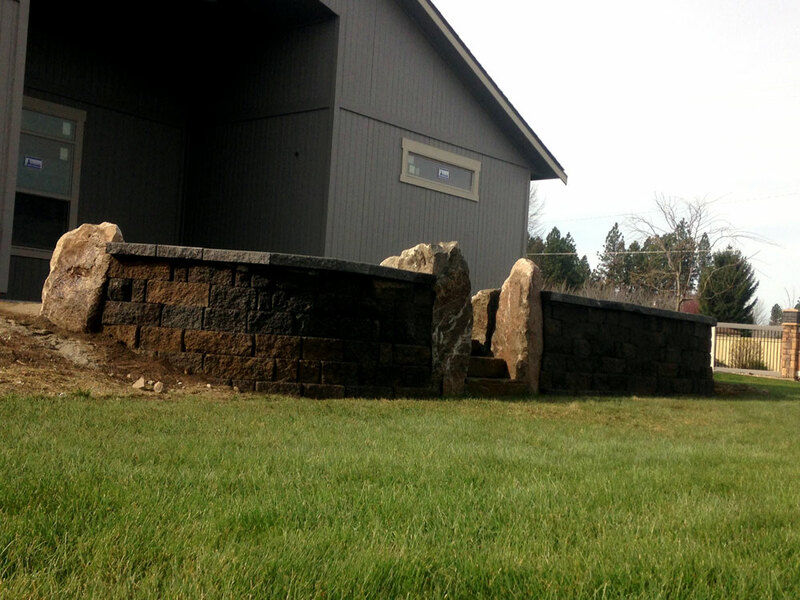 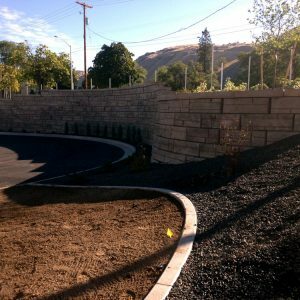 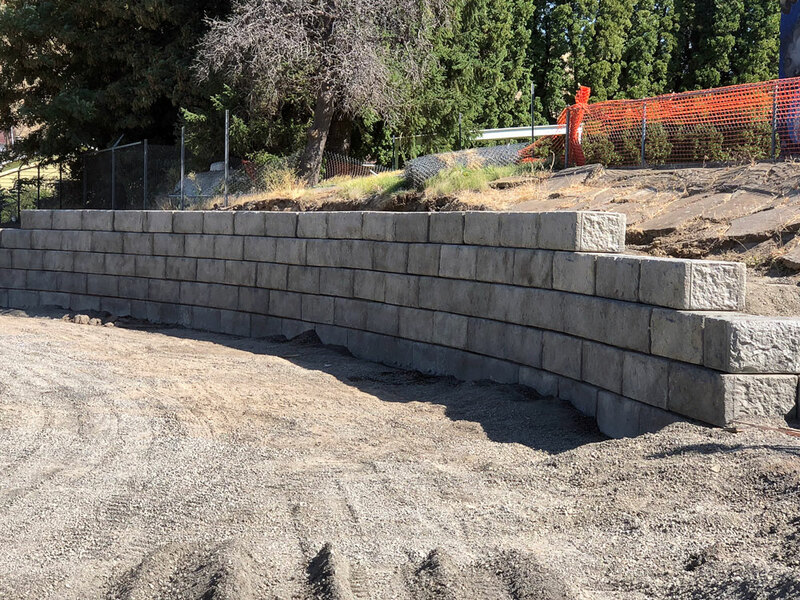 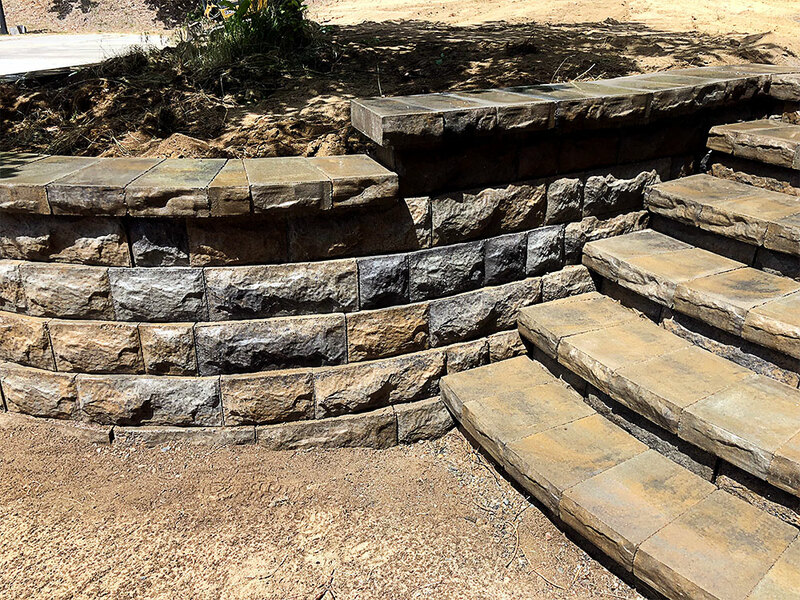 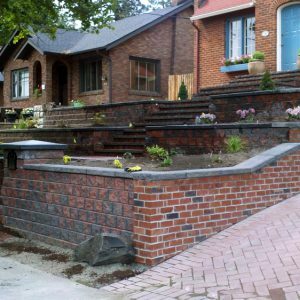 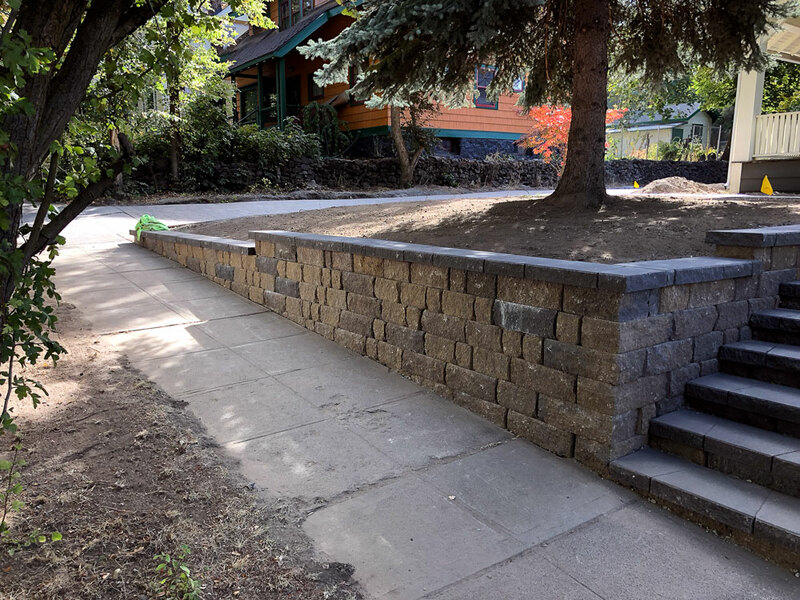 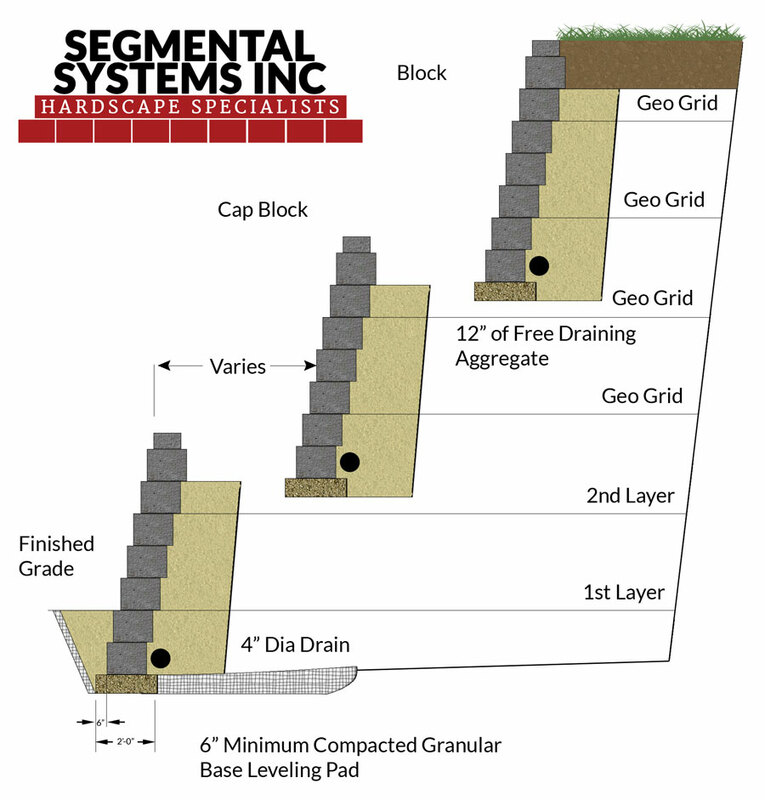 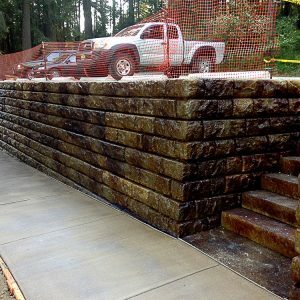 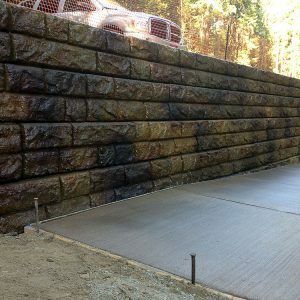 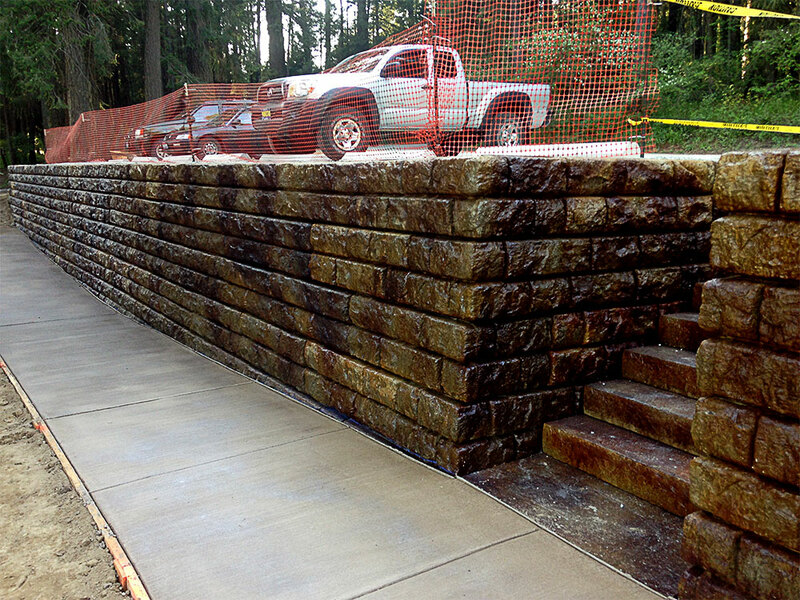 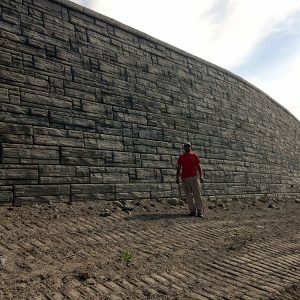 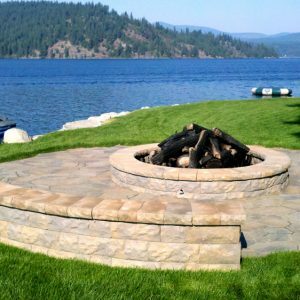 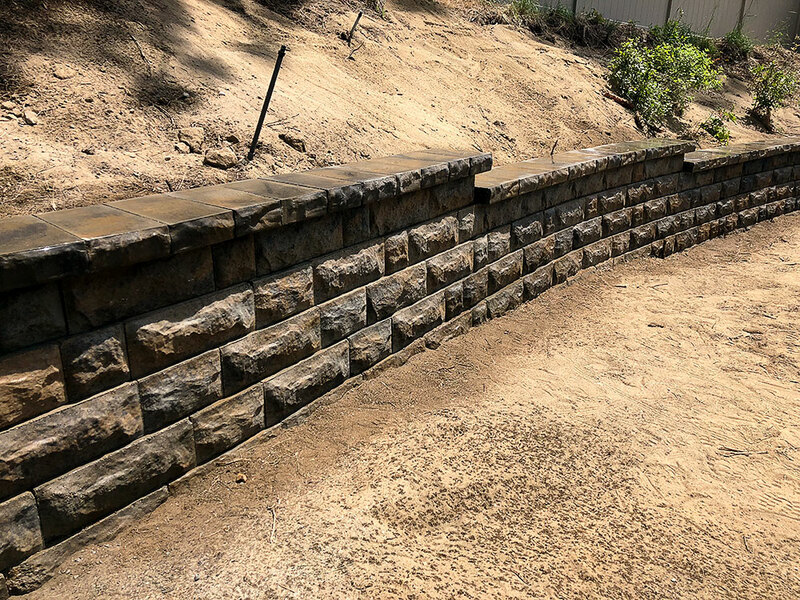 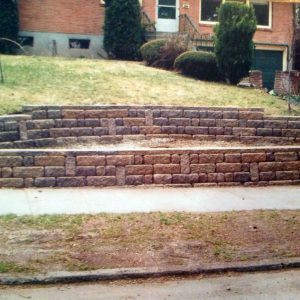 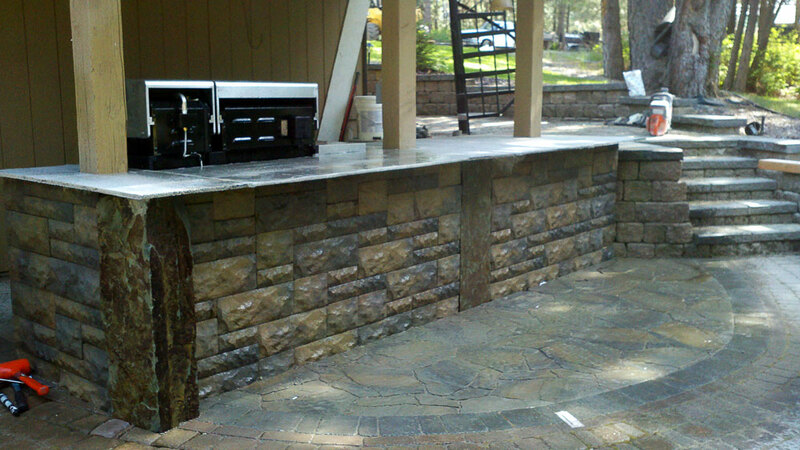 Typical installation methods for your new retaining wall.